There’s been a lot of interesting chatter on the Tusk lately about cosmically inspired aboriginal Rock Art. The strange etchings and scratchings on rocks around the world have long caused speculation that at least some portion of the art is inspired from above, the question is how much, what exactly did they see, and when did they see it. 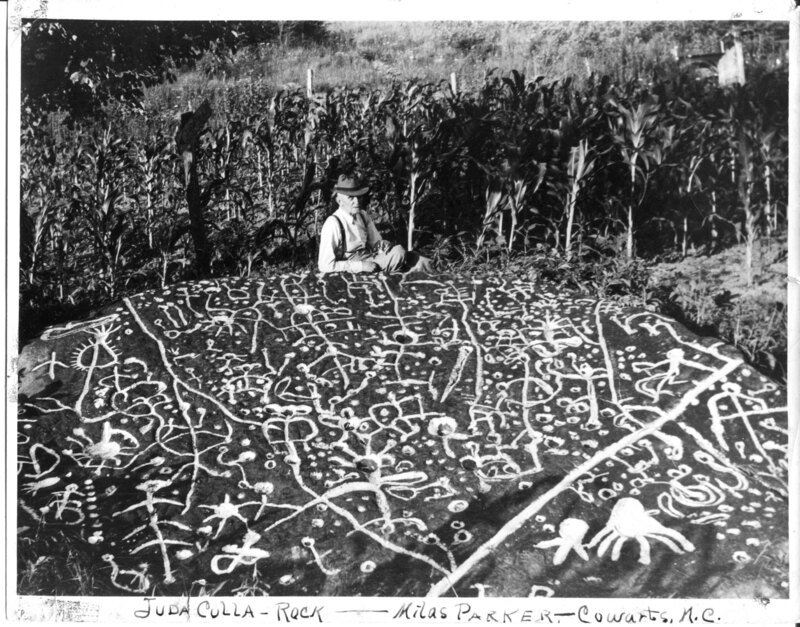 For instance,Pierson Bieretto over at Cosmopier has done wonderful work knitting together rock art in Northern Brazil with the still-unproven-but-damn-well-happened Tupana Event. North Carolina, my home, is not known for pertroglyphs. But we do have a few. Below is a photo of the forever enigmatic “Judacallah Rock” in the Great Smokey Mountains of Jackson County, North Carolina. This odd beast is surely our state’s best known, if relatively lonely, ancient stone canvas. So, I throw it out there. Is there perhaps anything at all cosmically inspired about Judacullah Rock? Many say it is reminiscent of microscopic creatures — about as far from comets and asteroids as one can get (but intriguing in itself). Anybody see anything from above here? Click here for Google on Judacullah Rock.